US-led foreign forces in Afghanistan have confirmed the emergency landing of one of their military helicopters in the southern province of Helmand, while the Taliban claim to have shot it down. The US-led Western military alliance confirmed the incident on Sunday. Local authorities said the military chopper made the forced landing in the Nowzad area of the province. However, the Taliban militant group said the aircraft crash-landed after it came under fire by its forces. The group further added that it was the third military helicopter belonging to the US-led forces in the country that they have downed so far in January alone. 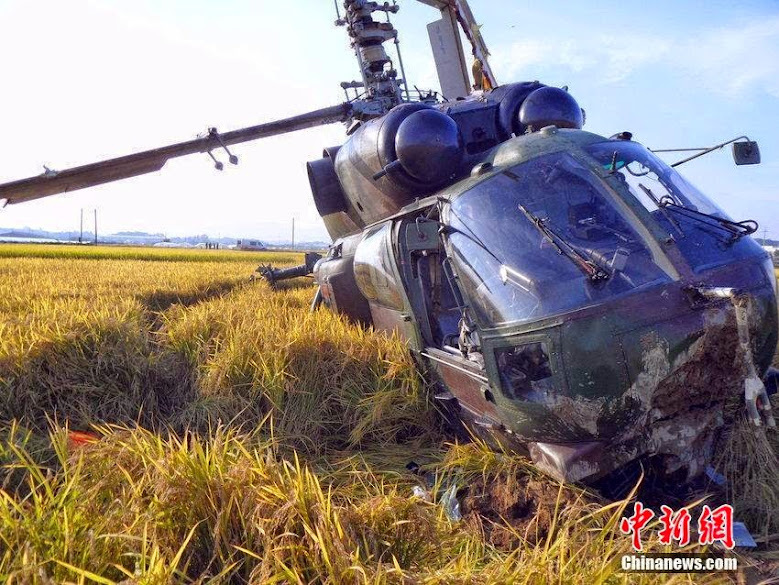 A military helicopter crashed in a farming area of Northwest China's Shaanxi Province on Tuesday afternoon. The two pilots have been sent to a nearby hospital, local authorities have said. A Namibian Air Force Harbin Z-9 (a Chinese assembled Airbus AS365 helicopter) as crashed, killing four people, at Grootfontein Airport in central Namibia at around 05h00 today. The six survivors all sustained serious injuries and were transported to Windhoek for medical attention. While several details are still unconfirmed, we have been able to determine that the helicopter crashed just moments after take-off. Apparently, the helicopter was headed for Windhoek to fetch Defence Minister Nahas Angula who was scheduled to attend the graduation of technicians at an Air Force ceremony today. Angula confirmed the incident, describing it as tragic. 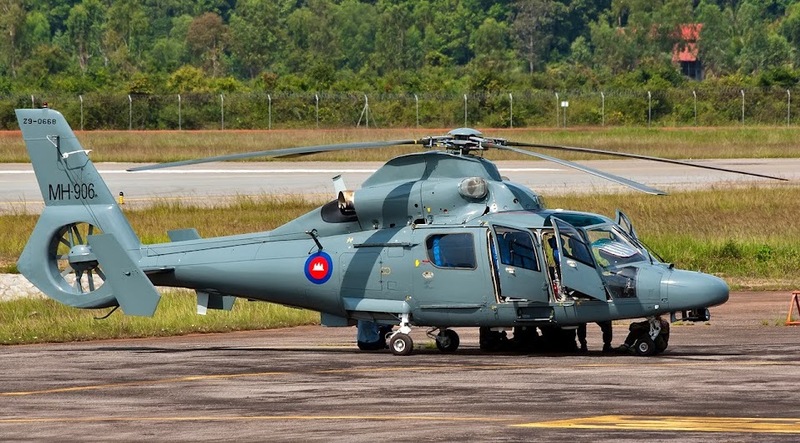 According to a press release from the Ministry of Defence today, the helicopter, which was on official duty, was carrying a crew of two plus eight passengers. Investigations are underway and further information will be made available at a later stage, the statement read. The Tanzanian Vice President Dr Mohammed Gharib Bilal was among 11 people who escaped minor injuries after a military helicopter crashed on takeoff at the Julius Nyerere International Airport military Airwing in Dar es Salaam, Tanzania yesterday. The Vice President, accompanied by Works Minister Dr John Magufuli, Dar es Salaam Region Commissioner Said Meck Sadiki and Dar es Salaam Special Zone Police Commander Suleiman Kova, had boarded the helicopter to observe the effects of ongoing rains in Dar es Salaam and the coastal regions. A statement issued by the Tanzania People’s Defence Force yesterday said the crash occurred at 9.30am and that the Vice President and his entourage suffered only minor injuries. An investigation has been launched into the cause of the accident, the statement said. Earlier Airport Police Commandant, Commissioner Khamis Selemani told The Guardian that on takeoff, the helicopter faced technical problems that led to the crash near the Air Wing. Two Taiwanese pilots were injured on Friday when their Apache attack helicopter crash landed on a building in northern Taiwan during a routine training mission, the military said. The pilots were sent to a military hospital for treatment of injuries after crashing on top of the three-storey building in Taoyuan county but no civilians were hurt, a military official said. In November Taiwan took delivery of its first six AH-64E Apache attack helicopters bought from the United States as it modernises its military despite warming ties with China. It temporarily grounded the choppers from December to February for checks after Washington warned the model could malfunction. The Taiwanese army is the first force outside the US to use the Apache AH-64E, the latest variant of what is described as the world’s most powerful attack helicopter. A CH-47 Chinook helicopter belonging to the 82nd Airborne Division from Fort Bragg, N.C., crashed Saturday at a Ft. Bliss training area near Orogrande, New Mexico according to Fort Bliss spokesman Lt. Col. Lee Peters. The incident occurred at about 8:15 p.m. Saturday. The Army is not releasing whether the four-passengers were injured due to the ongoing investigation.Peters said no one was injured on the ground. The crew was here for a high-altitude and mountainous training. Peters assured KFOX that it was not a 1st armored division crew and no one from Fort Bliss was involved. The investigation will continue. Investigators from U.S Army Combat Readiness Center from Fort Rucker, Alabama, are deploying to investigate. 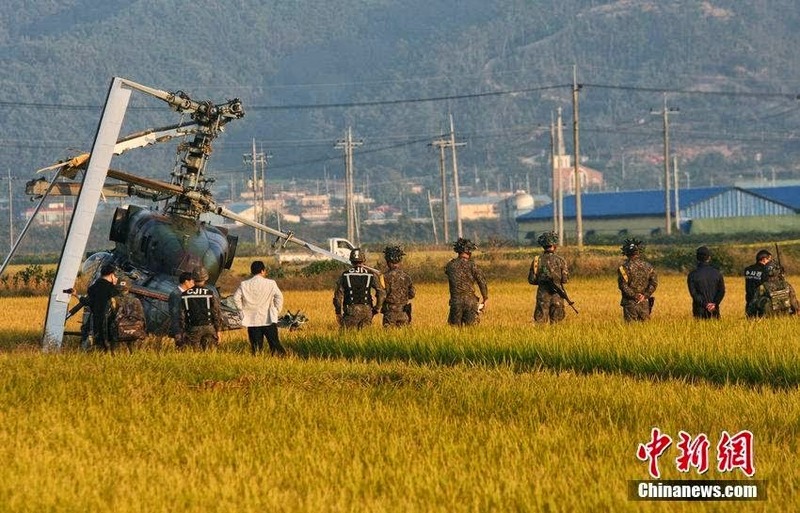 A Vietnamese military helicopter has crashed on the outskirts of Hanoi on Monday morning July 7th, killing 16 military personnel and injuring five others, a senior military official has said. 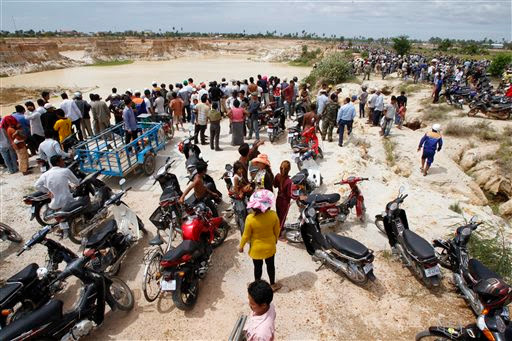 "The accident happened in Thach That (an outlying district of Hanoi) when the MI-171 helicopter was conducting a parachuting exercise," Vo Van Tuan, the deputy chief of staff of the Vietnamese People's Army, told The Wall Street Journal. Thach That is about 19 miles (35 kilometers) from the center of Hanoi. The aircraft crashed onto an abandoned house in the district and no civilians were killed or hurt, an official in the district said on condition of anonymity. Ho Thi Quy said she heard the helicopter crash. "I was selling tofu at Hoa Lac Market when I heard a helicopter flying over, and then I heard a loud explosion nearby at around 7:30 a.m. this morning," Ms. Quy said. She and several other people in the market ran to see the wreckage, about 200 meters from the market, and its huge column of smoke. "I was too scared to get close to the site," she said. "And soon … hundreds of policemen and soldiers arrived at the scene and cordoned off the area." The MI-171, a Russian-made twin-engine transport helicopter, is used by several military forces around the world, including those in China and India. It is similar to the Mi-8 helicopter, but has more-powerful engines that enable the aircraft to operate in higher-altitude terrain. 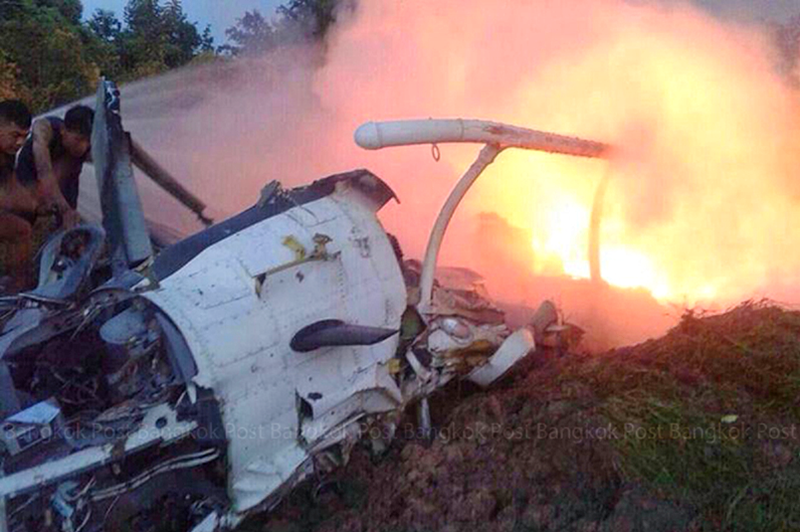 Monday's accident was the third reported military aircraft crash in Vietnam since 2007. 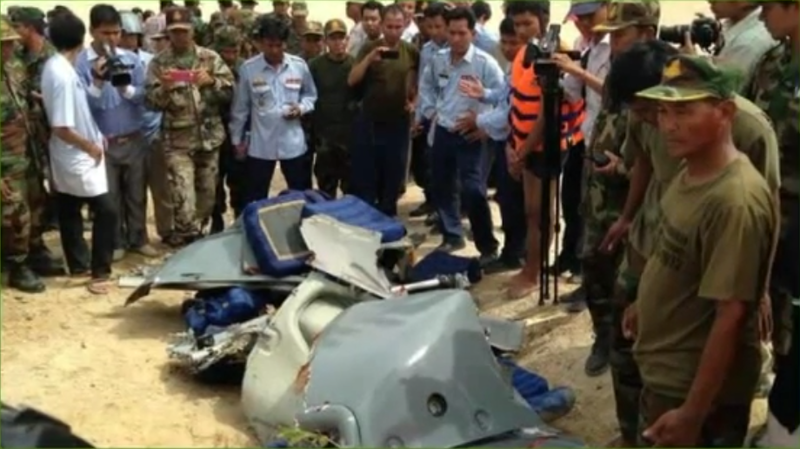 An air force deputy commander and at least four other soldiers were killed when a Royal Cambodian Air force helicopter crashed in Phnom Penh’s Dangkao district Monday morning, according to the air force commander. One man survived the crash. 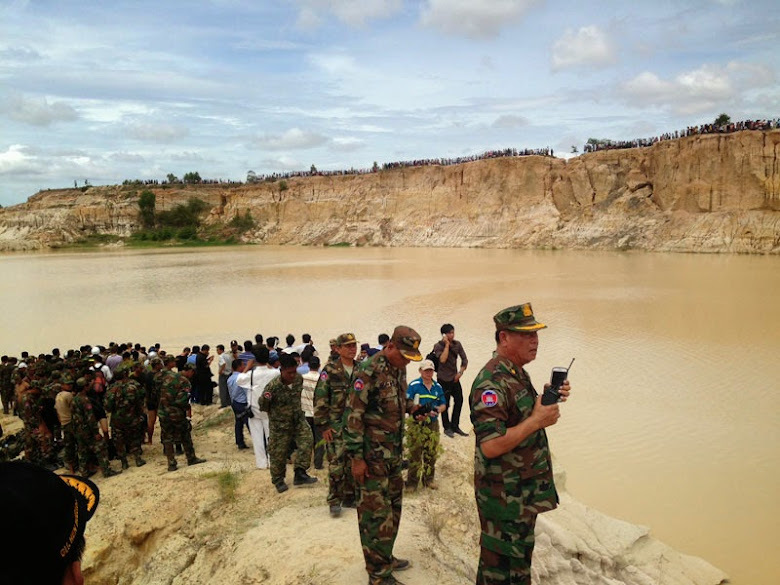 An official in the national police’s intelligence department, who declined to give his name because he is not authorized to speak with the media, said Royal Cambodian Armed Forces (RCAF) deputy commander Brigadier General Ieng Vanarith was among the dead. “He went on a flight with the trainers to see how his own men were training,” a police official said. 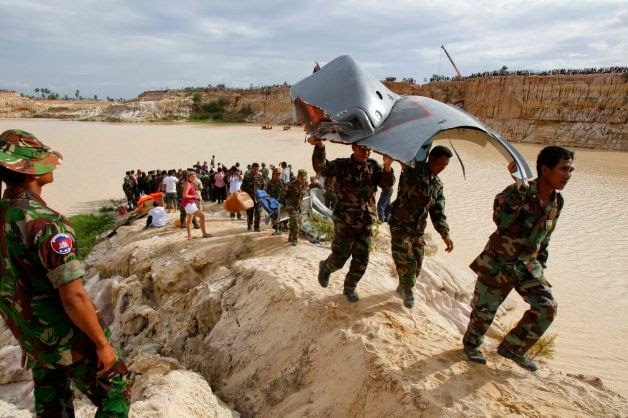 The helicopter was one of the recently delivered Harbin Z-9's (a Chinese built Airbus AS365N Dauphin), and crashed during a training flight south of the Cambodian capital Phnom Penhon, killing five people on board, police have said. General Soeng Samnang, commander of the air force, said that four soldiers were killed, including a deputy commander. “Four died and one was injured,” he said. “Among the four dead is a deputy commander.” Khat Sokhai, chief of Prey Sar commune, said the helicopter crashed at about 9 a.m. in a quarry in Prey Tituy village. He said an ambulance had picked up the injured person and rushed them to Calmette hospital. A doctor at Calmette said the soldier, 27-year-old Cheng Soksambor, was able to speak and had sustained “minor injuries” in the crash. 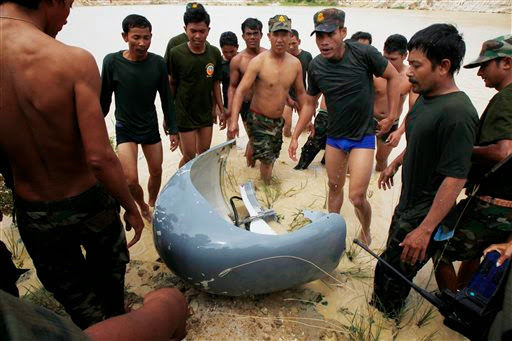 The helicopter went down about 10 kilometers (six miles) south of Phnom Penh. 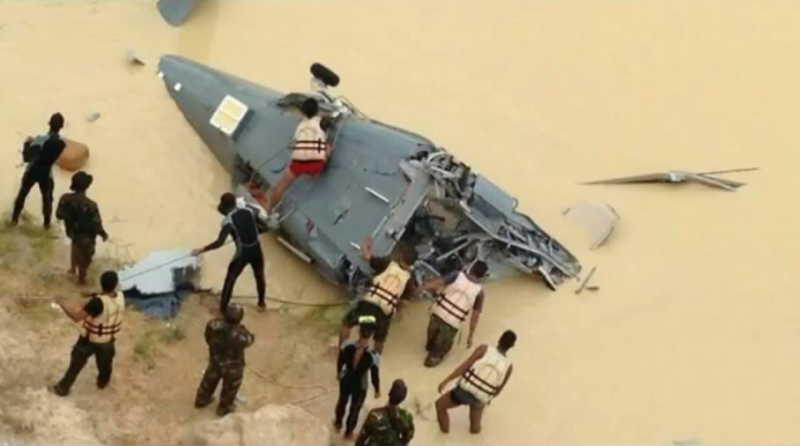 It crashed into a water-filled quarry surrounded by rural land and rice fields, and had sunk into the mud, Tum Polin said. Video footage and report (not in English). 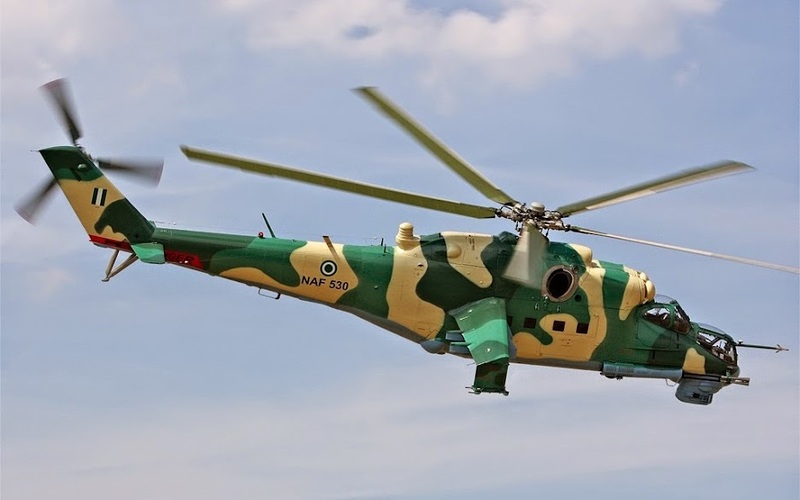 A Nigerian Air Force Mi-35 helicopter has reportedly crashed today south of Bama in northeastern Nigeria. A press release signed by Major-General Chris Kolade, Director Defence Information states that the aircraft did not come down as a result of armed conflict and that the cause of the crash will be investigated. 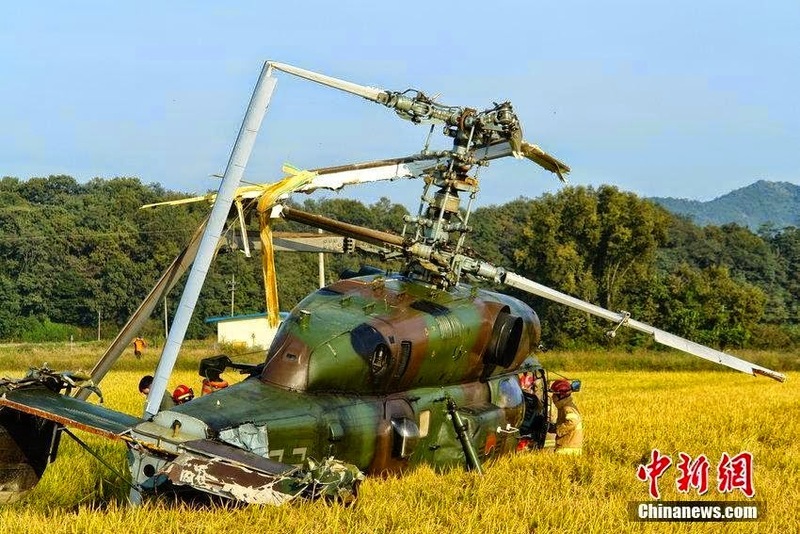 Reports from China indicate that a military helicopter (an Mi-171) has crashed in a village in China's south-central Sichuan Province. The M-171 is said to have been flying erratically before crashing on top of a wall. Reports indicate that the Mi-171's tail hit the ground first after which the aircraft rolled over when the main rotors were destroyed. A second military chopper attended the crash site shortly after the accident and took away four injured people. A fifth person from the crashed helicopter was taken to a nearby clinic by ambulance. 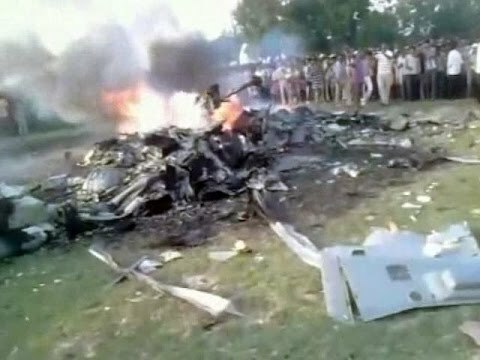 An Indian air force DHRUV helicopter crashed Friday in northern India, killing all seven people on board, including two pilots, the military said. The helicopter issued a "May Day'" call soon after taking off and contact was lost with it on radar and radio, an air force statement said. 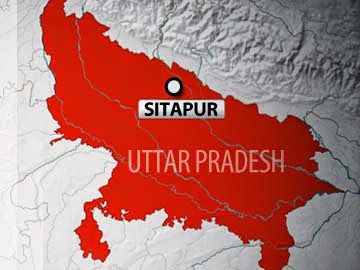 The crash occurred near Lucknow, the capital of Uttar Pradesh state. The helicopter was on its way from Bareilly to Allahabad. Just before the crash, the pilots reportedly contacted the Air Traffic Control (ATC) in Lucknow and alerted it to a technical glitch. The IAF said that routine sortie took off at about 15.53 and flew for about an hour before it crashed. Police officer Rajesh Krishna said the helicopter crashed in a field. The military statement said there was no reported damage on the ground. Some witnesses said a fire engulfed the helicopter as it hit the ground. Those killed include senior officers of the Baralli-based helicopter squadron. Some of those killed, are believed to have been involved in air-lifting tourists who were stranded in Uttarakhand after the flash flood that devastated the state last year. The Dhruv helicopter that crashed today is built indigenously by the state-run Hindustan Aeronautics Limited (HAL) in Bangalore. About 150 Dhruv helicopters are used by the army, navy and air force. The entire fleet has been grounded at least twice in the past because of technical troubles. Three crew members are dead after a UN cargo helicopter crashed in South Sudan, with a fourth crew member being treated for their injuries. The UN cargo helicopter crashed in Unity state, a factitious region of South Sudan, according to the UN peacekeeping mission. The UN mission "dispatched a search and rescue team" to the area, near the northern oil town of Bentiu, one of the hardest fought over areas in the country's more than eight-month-long civil war. The Mi-8 helicopter, which generally carries between three and five crew members, crashed about 10 kilometres south of Bentiu. 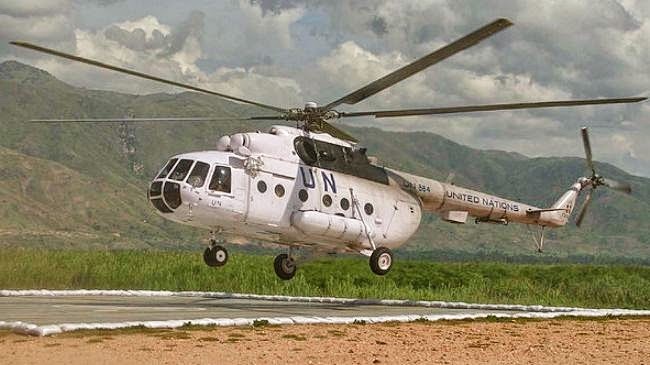 "The mission lost contact with the helicopter, which was on a routine cargo flight from Wau to Bentiu," around 12.30pm, the United Nations mission in South Sudan said in a statement. The cause of the crash remains unclear with "investigations regarding the cause of the incident" to begin as soon as possible. The area has seen recent heavy battles between government and rebel forces, with the town of Bentiu badly damaged in the months of fighting. There was no indication given as to what had caused the crash. There have been previous crashes in the region, including last year when a UN helicopter crash landed on its way from South Sudan to Ethiopia, injuring four crew members. In 2012, South Sudan gunmen shot down a UN helicopter, killing all four Russian crew onboard. UN cargo helicopters are vital to supplying peacekeeping bases across the impoverished nation, as well as providing food aid for civilians, with aid agencies warning of the risk of famine should fighting continue. Thousands of people have been killed and more than 1.8 million have fled civil war sparked by a power struggle between President Salva Kiir and his sacked deputy Riek Machar. Over 40,000 civilians are sheltering in the UN camp in Bentiu alone, some of the almost 100,000 civilians in UN bases who fled there to escape killings and massacres. Rebel forces in Unity are led by warlord Peter Gadet, who has been hit with sanctions by both the United States and European Union for violent atrocities. A UN helicopter that landed near Bentiu carrying ceasefire monitors was seized by Gadet and his forces on Saturday. One ceasefire monitor died during the incident and the others were released. 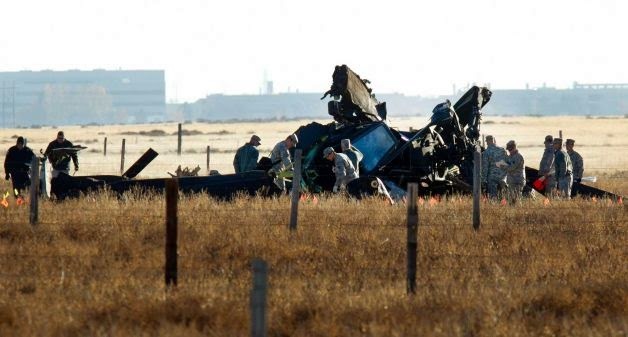 An MH-60S Seahawk helicopter assigned to Helicopter Sea Combat Squadron (HSC) 6 based at Naval Air Station North Island rolled on its side while landing during a routine training mission near Naval Air Station Fallon at about 2:30 pm on September 2nd. All five crew members aboard, two pilots and three enlisted aircrew, are accounted for and safe with no significant injuries. All five crew members were transported to Naval Air Station Fallon medical facilities for evaluation. According to a Navy spokesman, the helicopter accident occurred 40 miles from Fallon in central Dixie Valley. Upon landing, the Navy said the helicopter rolled. The helicopter was participating in a training exercise as part of a pre-deployment exercise. HSC 6 is assigned to Carrier Air Wing 11, which is out of NAS Lemoore. A safety investigation will be convened to determine the cause of the mishap. 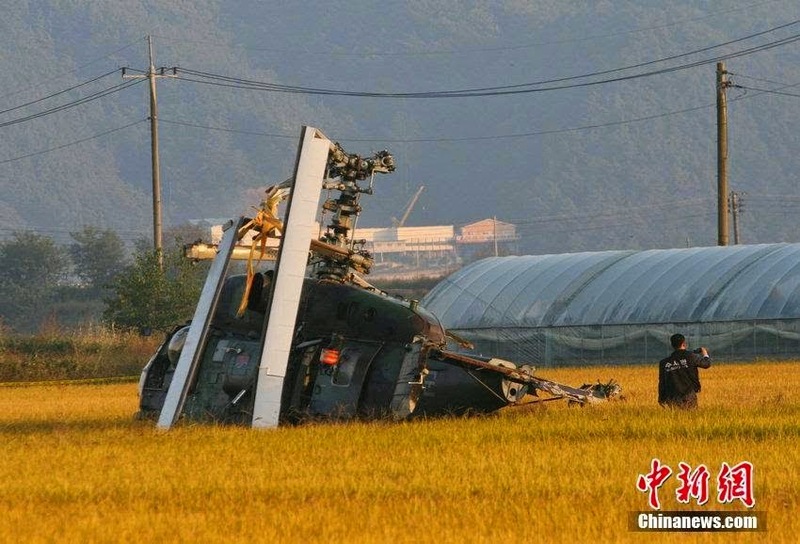 A South Korean Air Force Kamov Ka-32 has crashed in Jincheon County in the Province of Chungcheongbuk-do in central South Korea on 8th October. The helicopter crashed in a filed injuring two of the three crew members on board. Four military personnel have been killed when a Turkish Naval Seahawk crashed in the northwestern province of Kocaeli, the Turkish General Staff announced late on Sunday. 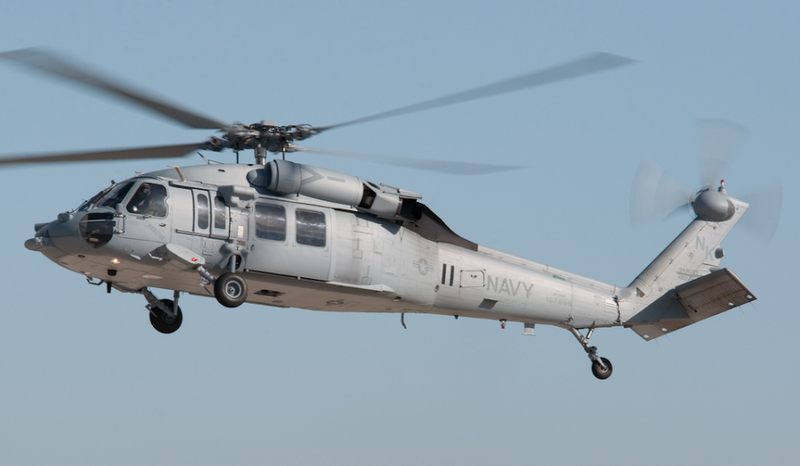 The S-70B Sikorsky aircraft, which took off from the Cengiz Topel Military Airport in Kocaeli, disappeared from radar after it lost connection with its base at 12:25 Turkish local time. The wreckage of the chopper has been located in a mountainous region in the Kartepe district of Kocaeli province. The last helicopter crash to take place in the country occurred in a rural area near the Golbasi district in the capital, Ankara, in December of last year. All four soldiers on board were killed. Security officials have launched an investigation to uncover the cause of the crash. An Idaho Army National Guard Apache helicopter has crashed Thursday night during a training mission, killing the two crew members on board. Idaho National Guard spokesman Col. Tim Marsano confirmed the deaths of the two male pilots but did not release any further details pending the notification of relatives. The cause of the crash will be investigated by the Department of Defense, he said. 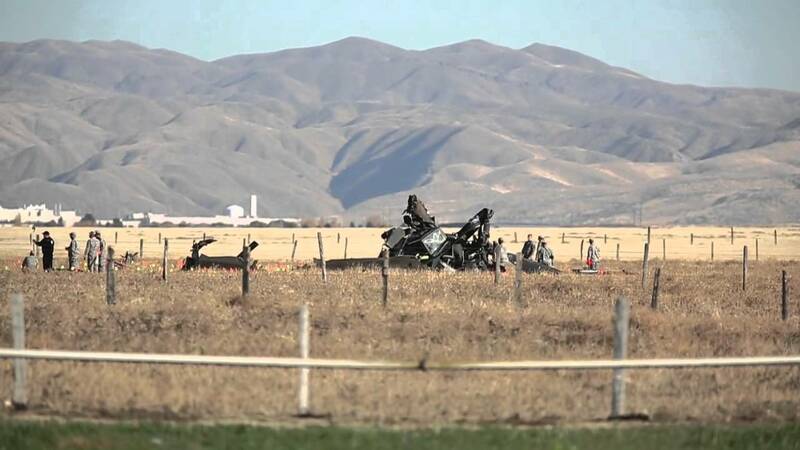 The Apache combat helicopter crashed at approximately 7 pm about two miles south of the National Guard base at Gowen Field near Boise International Airport, Marsano said. It wasn't immediately clear whether the pilots were heading to or returning from a mission, he said. Marsano said he didn't know whether any communication was heard from the helicopter prior to the crash. There was no fire, he said. 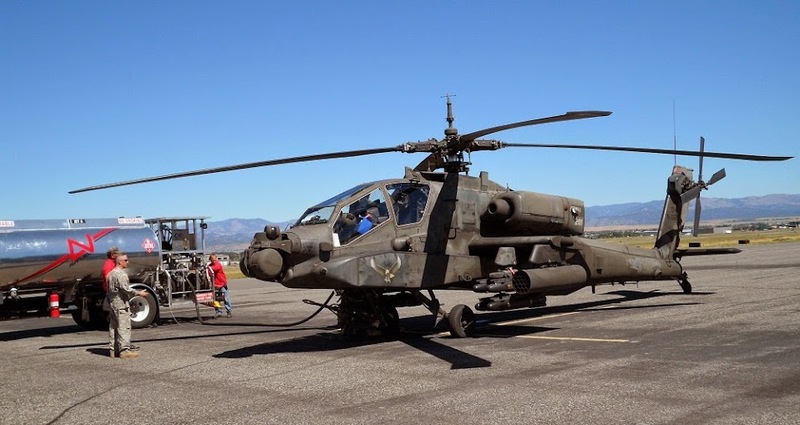 The Idaho Army National Guard has 16 Apache helicopters stationed at its Gowen Field training base. The Idaho Guard has a training area about 20 miles south of Gowen Field, but pilots also train over other areas, the spokesman said. "The men and women of the Idaho National Guard are united in grief at the loss of two of our brothers in arms, who gave their lives while training to defend our nation," Maj. Gen. Gary Sayler, commander of the Idaho National Guard, said in a statement. "Today, our thoughts and prayers are with their families." Boise firefighters initially responded to the crash but then turned the scene over to the National Guard said Fire Chief Dennis Doan. Ada County sheriff's deputies secured the site and blocked media access. 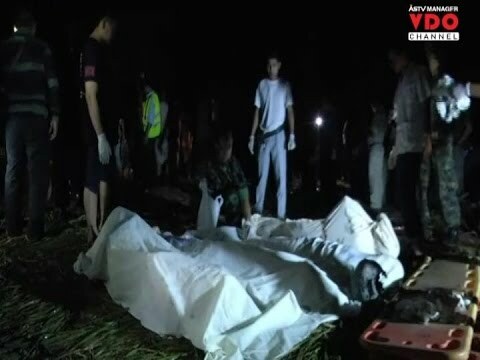 Nine army officers, including the Third Army’s deputy area commander, were killed when their helicopter crashed in Muang district, Thailand on Monday evening. Deputy army spokeswoman Sirichan Ngathong confirmed none of the nine people on board the Bell 212 helicopter survived the crash. The search and rescue operation discovered bodies of all nine at 8.15pm. Maj Gen Songpon Thongjeen, deputy Third Army Area commander, was on board the Bell 212 that left Khun Chueang Thanmikkarat Camp bound for an army base in Chiang Rai. The helicopter had been in the air about 10 minutes when controllers lost contact with it, according to deputy army spokeswoman Sirichan Ngathong. 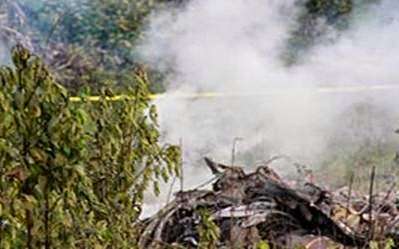 Villagers found the helicopter downed and engulfed in flames in Ban Jer Bua in tambon Wang Tha Thong, a short distance from the camp. The other eight killed in the crash were Col Kitti Suwannachareon, Col Yutthapong Puanfoong, Lt Col Wuthisak Soonthornsook, Lt Col Manit Surasaena, first pilot, Capt Worapong (surname not known), second pilot, SM 1 Anant Chomchiangkham, and two mechanics SM2 Sompob Kongmalai and SM1 Apiroon Sandorn. A Romanian Air Force Puma helicopter carrying 10 people has crashed in the central Romanian county of Sibiu on Friday, killing eight, the country's emergency response agency has said. "Two victims who have suffered burns were evacuated," Bianca Sabau, a spokesperson for the agency told Reuters. She said the crash took place near the village of Stejaris. "There are eight people dead." A US Navy helicopter crashed Sunday while carrying out a training flight at an American army post in northwestern Kuwait, not far from the border with Iraq, American officials said. The cause was not immediately known though the Navy has ruled out hostile activity. 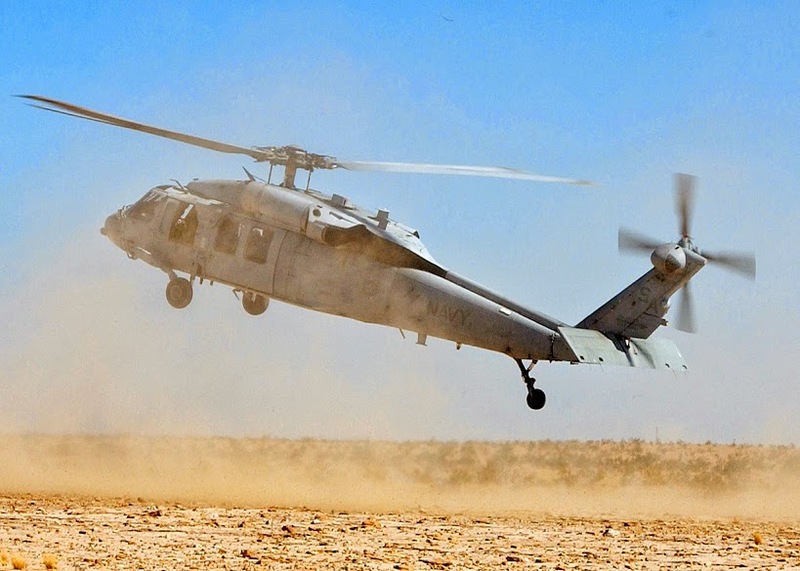 The accident happened at about 7:22 p.m. local time (11:22 a.m. Eastern time) when the MH-60S Knighthawk helicopter crashed at Camp Buehring in northwestern Kuwait, about 10 miles (16 kilometers) south of the Iraqi border. It happened when the aircraft was carrying out an overland training flight. 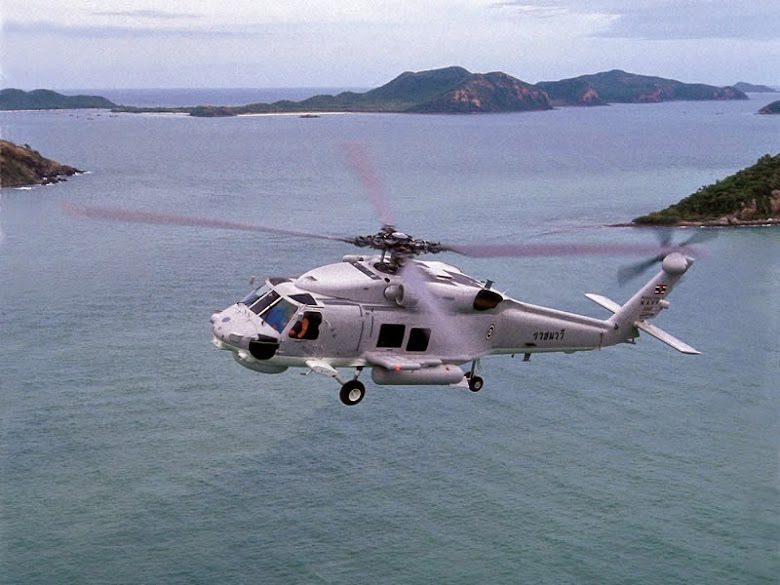 "All six personnel aboard the helicopter survived the crash and were transported to nearby medical facilities for evaluation," US Naval Forces Central Command said in a brief statement. "Three of the six crew members sustained minor injuries and received treatment. All have been released." The cause of Sunday's crash was not immediately known, but the force said it was not the result of hostile activity. 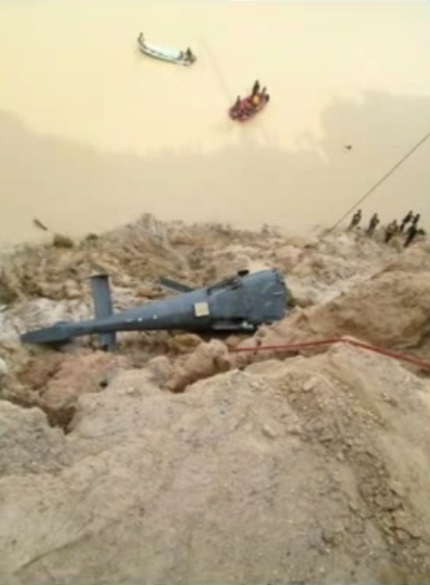 An Army helicopter flying flood-relief missions crashed in Yala yesterday, injuring the four crewmen on board. 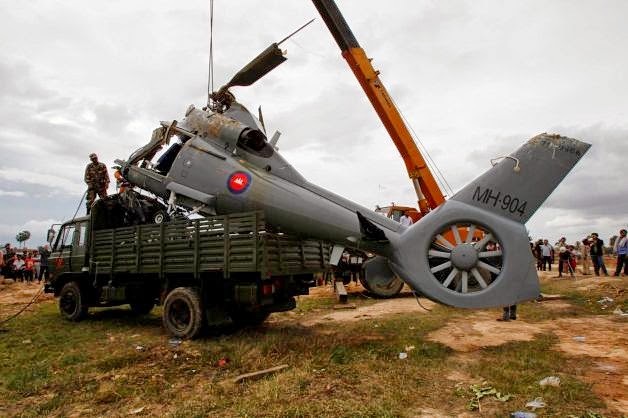 The helicopter, from the Royal Thai Army's Region 4 base in the South, crashed in Yala's Muang district yesterday afternoon while providing assistance to residents affected by flooding during heavy rain, Fourth Army commander Lt Gen Prakarn Cholayuth said. The four crewmen received minor injuries. They are pilots Capt Seksan Puraphol, 33, and Lt Apisit Prahacha, 32, plus aircraft mechanics Pol Sgt Major Sa-ngun Muengkamrueng, 55, and Pol Sgt Major Kittipong Saeng-Thit, 37. Gen Prakarn confirmed that he had reported the incident to Gen Udomdej Sitabutr, the Deputy Defence Minister and Army chief. The massive flooding in Narathiwat province is likely to continue until January, provincial Governor Natthaphong Sirichana warned yesterday. Natthaphong spoke after the province's weather bureau said rain could continue both tomorrow and on Tuesday and potentially cause flash floods over the entire province. The flooding has been caused by runoff from Sankalakhiri mountain range, which was triggered by four consecutive days of heavy rain. That caused the Sungai Kolok River to burst its banks, resulting in some 300 households along the river and nearby agricultural areas in Sukhirin, Waeng and Sungai Kolok districts being covered by two metres of water. More than a dozen districts have been declared disaster zones since last week, with 115,853 residents from 30,624 households affected. Twelve homes have been badly damaged and another 55 affected, while 115 schools have been closed and 79 roads and bridges made impassable. There have also been landslides at eight locations. 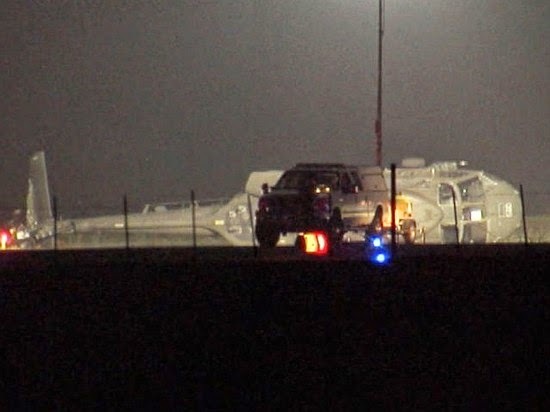 A California Army National Guard pilot and co-pilot suffered minor injuries in a hard landing that rolled their helicopter onto its side at Ramona Airport near San Diega on Tuesday night, authorities have said. The aviators were on a routine training mission when they had to land their UH-60 Black Hawk helicopter at the rural airport, a National Guard spokesman said. The crash off the end of the runway was reported just before 6 pm. Firefighters and sheriff's deputies went to investigate. The men got themselves out of the aircraft, which came to rest on its right side, Cal Fire Capt. Kendal Bortisser said. The two later were taken by ambulance to a hospital for treatment. A statement issued by the National Guard said the helicopter sustained significant damage, but did not say why the pilot had to make the forced landing.